Who doesn't love fall fashion?! The boots, the layers, there just seems to be so many more options in the fall. The Kohl's 2014 Fall Collection does not disappoint. I had the chance to head into my local Kohl's and shop for a fall look! I found some fantastic inspiration from Kohl's before I even left my home. Finding great fashion in my size isn't always easy. Curvy girls love great fashion too! I finally chose one look that seemed to really match my style. I set out to find something along the lines of this look. This look is created from the SO printed yoga legging, Apt. 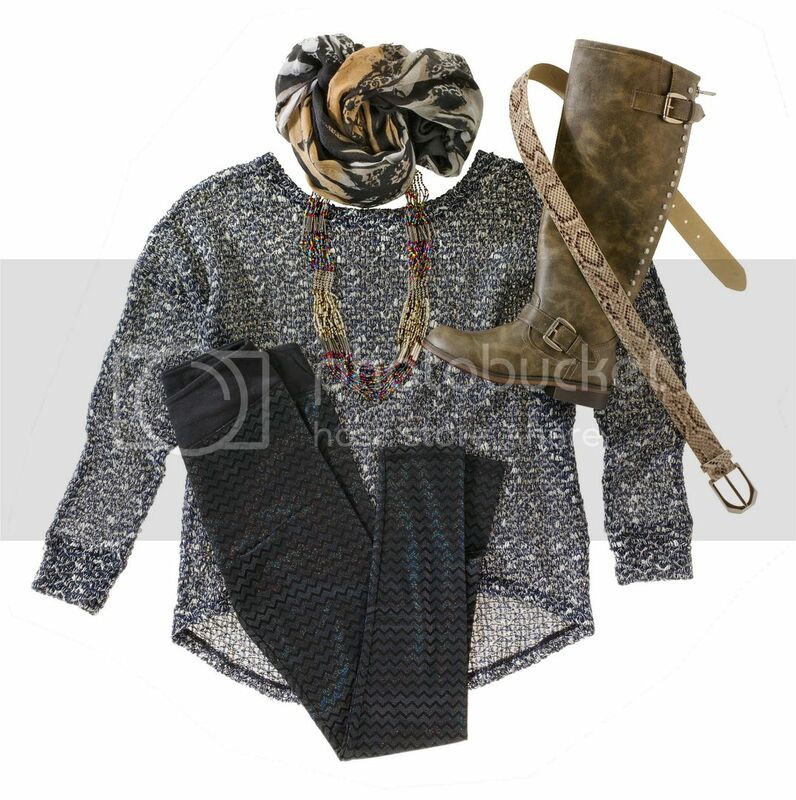 9 cut up abstract wrap, Mudd multirow bead necklace, and Candie's boots . My favorite things about this look were the tunic and the leggings. I browsed the entire women's department, but I came back to the Apt. 9 section. Apt. 9 has a casual. yet on-trend vibe about it that I really like. It was definitely my style. I chose a few items and proceeded to the fitting room. I ended up getting a pair of Apt. 9 Modern Fit Ponte Leggings and a few top options, all for less than $100. The leggings are so comfortable! I really like the bottoms. The stretchy ponte construction and a contoured cut combine to give you a flattering, flexible fit. The tunic is also Apt. 9. It is the Apt. 9 Sublimation Crochet-Trim Tunic. The color is what caught my eye. I love this shade of teal for fall. I also went with the Apt. 9 Printed Embroidered Sublimation Top - see I told you that I loved Apt. 9 - and a Daisy Fuentes Knot-Front Top. I was also really impressed with the Daisy Fuentes collection. The fabrics were gorgeous. Stay tuned because I also hit the home collection and updated my bed for fall. Check for the post next week! What is your favorite look from the Kohl's 2014 Fall Fashion Collection? Connect :: Shop the Kohl's 2014 Fall Collection for the latest Kohl’s offerings from on-trend seasonal fashion to must-have home décor. 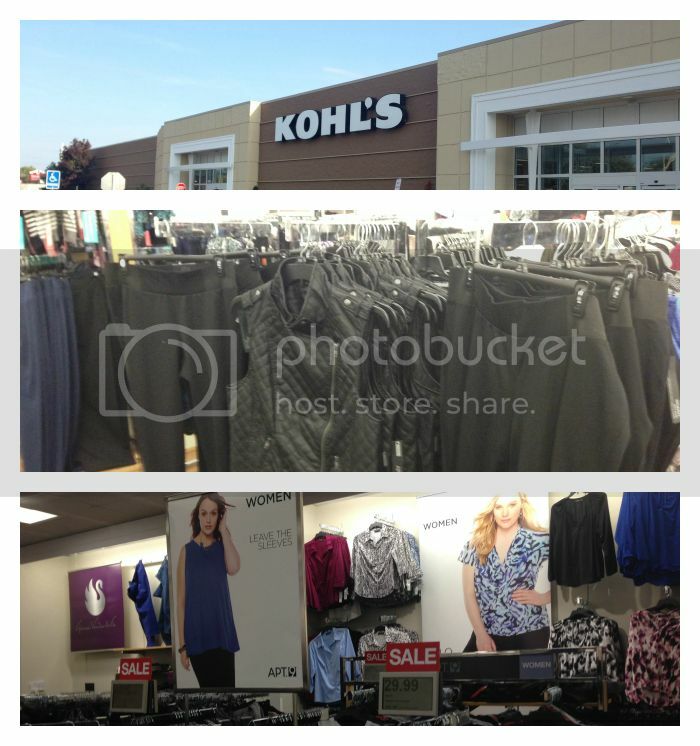 You can also find Kohl's on Facebook and Twitter.